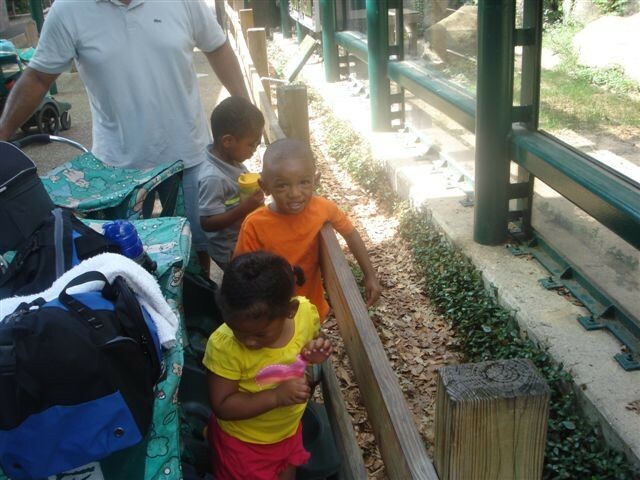 So this past weekend we had an ALL DADS, ALL KIDs trip to the zoo outing. On, yeah, we had it organized, timed out, and planned out. We were on point too. We all synchronized to meet at the zoo for 10:00am. I was a little late I got there at 10:10am. Uncle Barry, got there early and had tickets for me and my daughter. Uncle Charles had gotten tickets for him and his son the day before. So, as I said before we had this thang planned out. 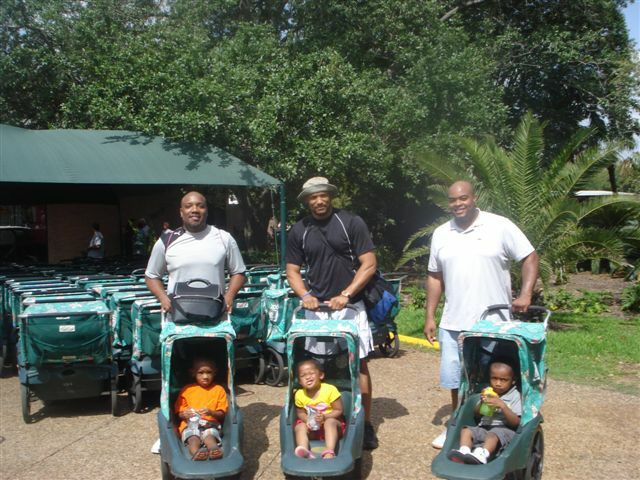 We got in there and rented three strollers for the day so that the kids did not have to walk. We had three two years old and plus it was already at that point another hot day in Houston. Just like any trip to the zoo we had to get a map then get our location and direction down so that we could map out a path in which we could see and get to everything we wanted see in one perfectly organized MAN trip. One goal, one mind, one stop; you women know that’s how we do it. We got going enjoying the day and asking the kids if they wanted water or snacks about every ten to fifteen steps. We are the concerned dads. About ten minutes in two our trip we were stopped by a woman. In a loud voice she said “WOW” now here is something you don’t see often. 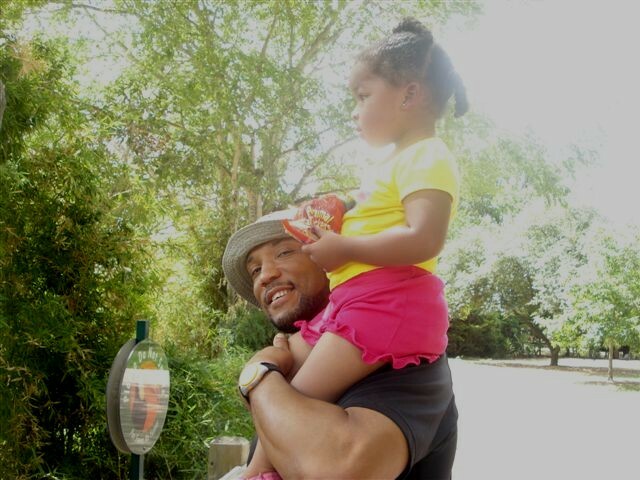 Is it daddies day out?” We laughed with her and carried on our way. After she said that I began notice that as we walked, almost every woman we passed by would look at us and say a few words to whomever they were walking with. Then about 30 minutes later another woman said some thing to us. I thought myself what is so crazy about seeing three dads out together with their kids. Then it dawn on me like a light from heaven. It was not that they were surprise to see three dads out together I believed they were surprise to see three Real Fathers out together actually loving their kids and being patient with them. Society has really derailed the image of the Father being there with his kids and loving it. There are more shows that illustrate Proud Men who sleep around and are part-time daddies but not true fathers. So I say it’s not cool to have a kid and not be a Father to that child. 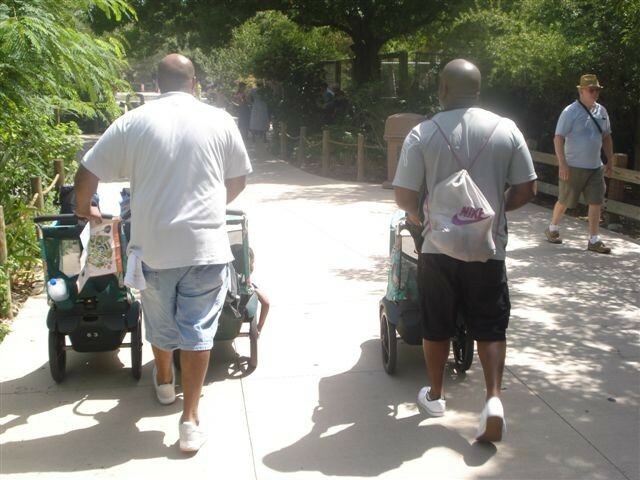 I know things and circumstances happen but we have to kill the stigma that men, true men can’t be true Fathers. I tell you what. I love God and My kids. Now my wife….just joking I love her too. I thought it was funny.